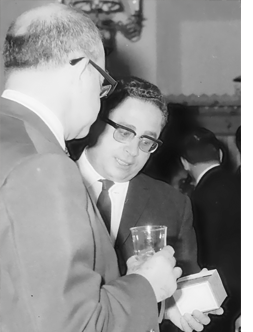 Michel S. Jacovides was born on December 25th 1916, at a time when Cyprus was still a British colony. He was among the first students of “Eleneion” primary school and in 1934 he graduated the Pancyprian Gymnasium with excellence. He was then employed as a pharmacy assistant in one of the first pharmacies in Nicosia whilst studying for his Pharmacy degree via correspondence from a branch of the University of London. The history of the MSJ Group begins in 1944 when he opened his first retail pharmacy, where MSJ represents the initials of the founder. “Michel Pharmacy” was located near the bus station at the most crowded area of Nicosia, in today’s occupied part of the city, at 10-15 Vitsi Street. The pharmacy’s popularity quickly grew as people from the surrounding areas who were arriving to visit their doctors would then buy their medicines from there on their way back. Michel was also among the first to install a telephone in Cyprus, number 116, which still exists in one of the corporate phone numbers. At the time, the list of medicines was short and specific and usually included cough syrups, some pills and powders that were produced in small quantities in pharmacies by pharmacists themselves. Michel soon realised that the prospects of selling ready-made pharmaceuticals, and in 1949 he took the big and pioneering step: he secured an important partnership agreement as an exclusive distributor with the leading American pharmaceutical company, Merck & Co (MSD), and became one of the first importers and distributors of pharmaceuticals in the Cyprus market. A few years later, in 1956 and during the period of the great polio epidemic, he took the initiative of importing the poliomyelitis vaccine from Belgium which he offered at a competitive price compared to the second available alternative. 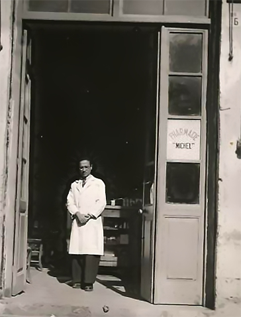 Later on, in the 1960s, he expanded with two more pharmacies: one in Ayios Dhometios and another one in Makariou Avenue. From 1970 onwards, his four sons were completing their studies and started joining the business. They all shared a common vision: they wanted to explore the commercial opportunities of the business in the pharmaceutical and health fields. Building on the solid foundations that were laid by their father, Sotos, Savvas, Alexandros and Aris successfully managed to develop a reputable and powerful Group of companies with leading positions in the healthcare spectrum in Cyprus, Greece and the Balkans. On the ground floor of MSJ Group’s headquarters one can see the traditional “Michel Pharmacy”, along with the pharmacy bench and some of the earliest tools Michel used for medicine preparation during his first steps as a pharmacist. Michel was hard worker throughout his life and a pioneer in his era. 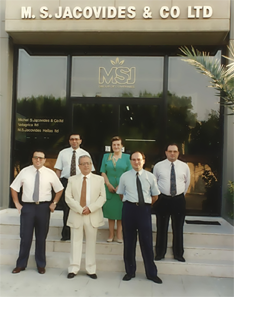 Today, his children and grandchildren are actively involved in MSJ Group’s operations, committed to the continuous advancement of the organisation and characterised by professionalism, honesty, dedication, mutual support and harmonious cooperation. The secret of success is attributed to the principles, values and strong foundations that were laid by Michel Jacovides.